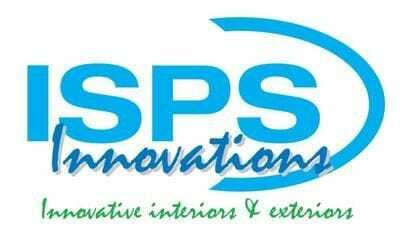 ISPS Innovations DIY custom made Joinery, Splashbacks & Supply and Install Custom Kitchens. BUY DIRECT NATIONALLY AND SAVE, GET THE COLOURS YOU WANT! Your one stop domain for custom made ColourTek Benchtops , IPA Acrylic splashbacks, Bonethane Splashbacks, VetroPoly Toughened Glass, Alumethane composite panels, Polyurethane Doors in any colour & gloss level. Call ISPS today & quote BLOGG 12052014 & we will customise your order to your specification. 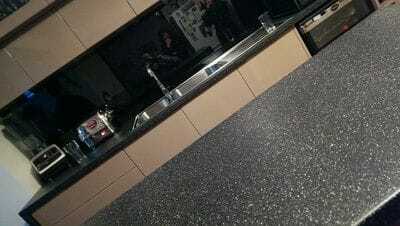 Bonethane Premium is a DIY Friendly high gloss wall panel and splash back. An advanced lightweight high heat polymer (120°C)and coating formula, available in 18 beautiful house colours or the option of choosing your own colour that meets the particular decor in your home, work place(corporate colours) or outdoors, giving you total control & colour choice . Bonethane GN Acrylic is 100°C has the same colour range and freedom of colour choice as the superior Bonethane Premium. Face of GN is equivalent to Aluminium (harder wearing). With colour matching there is no minimum order quantity. ISPS customise all our range to accommodate your requests. With Bonethane Premium you can choose your colour, mix multiple colours, creating abstract EFX, vibrant metallic's or you may want the sheer velvet look. Enquire about our free offers with your custom order. Bonethane Premium is suitable for bathrooms, showers (no mould), laundries, kitchens outdoors, doors, commercial, applications are endless. Simple cleaning, eradicate harsh cleaning agents. To clean Bonethane Premium, warm soapy water, rinse residue, wipe and walk away, Bonethane dry's and shines. Unlike Acrylic Splashbacks, will not split or crack when working with material, Bonethane Premium is the DIY favourite. NO POLISHINHG required. Bonethane Premium cuts with ease, no splitting or cracking, all you need is a simple jigsaw or handsaw & drill to execute innovative cuts, angles or holes, ie, electricians can add power points long after Bonethane Installation is complete giving the consumer on-going freedom, please contact us for further information contact on 08 83818880. Bonethane Premium is 5mm in thickness, with a high heat absorption of 120°C. Bonethane Premiums thinner colour technology allows light weight colour properties to reflect through Bonethanes solid polymer substrate giving depth, this technology when cutting eliminates the structure of Bonethane from splitting & cracking once penetrated and installed. Bonethane Premiums structure is engineered to withstand the environmental surrounding elements without compromise. Bonethane Premium weathers the stresses of cutting drilling and sawing in particular environmental stress of heat absorption, expansion, contraction & soil movement which compromises wall levels. With all this stress Bonethane Premium stands up to the challenge of climatic weathering eliminating cracks, bowing and stress marks. 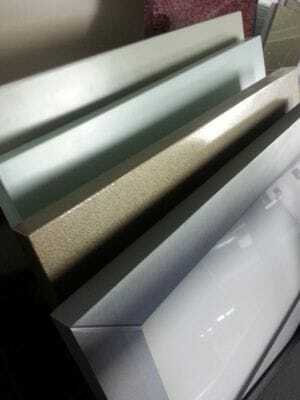 CulourTek Benchtops and Partitiions our unique colour technology transforming into a stone like bench surface, available in any variation of colour & design. You choose the base & the flick of stone you desire.